What are your weeds saying? 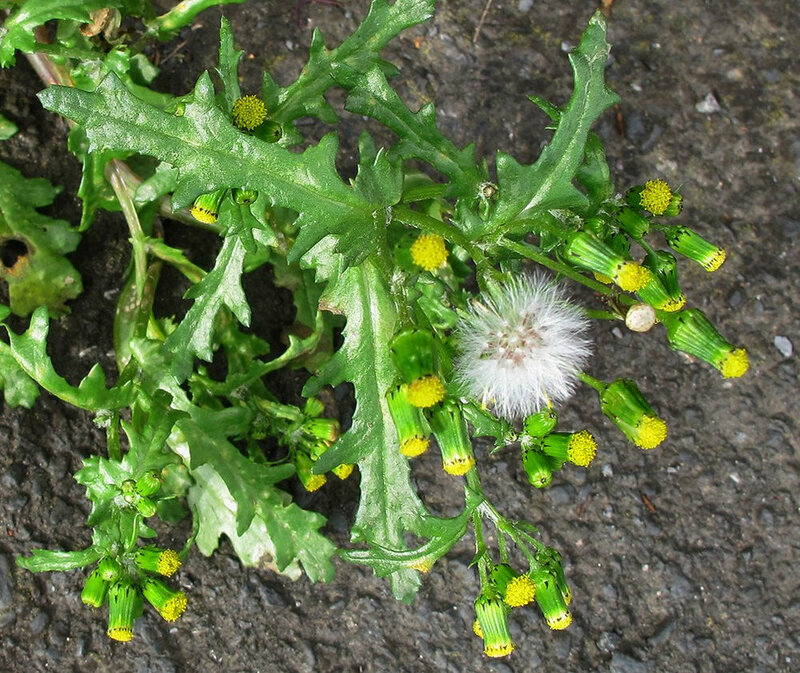 Even weeds have soil and condition preferences. There may not be overwhelming evidence that your weeds are trying to tell you something, but you can’t argue with gardeners! After all, gardeners do know a bit about plant preferences and growing conditions. We pay close attention to these things all the time. Certainly, some weeds just take any opportunity to colonize in a nicely tilled garden. But pervasive perennial weeds taking hold in established lawns are the best indicators of soil problems. The weeds that grow in our lawns and landscapes can be indicators of nutrient deficiencies, pH levels, drainage and soil compaction. A single plant or species may be random, so identify colonies and variety of perennial plants that are strong and healthy, clearly happy in the conditions, to evaluate. Once the potential problems are identified, you can work to change the condition as well as changing what you grow to plants and grasses that prefer the existing conditions. These two actions can help prevent weeds as well as reduce if not eliminate the need for chemical herbicides and back bending labor. Once you have identified your weeds and have narrowed down the likely conditions causing them, you should also employ a little science and do a soil test to further narrow down the possibilities and verify conclusions. Some soil conditions are easier to remedy than others. Of course if you are digging in a new garden bed you can substantially change the condition of a specific area but digging in needed amendments and nutrients. You can also be more selective and choose plants that prefer existing conditions. Amending soil and choosing different plants is a bit more limiting with lawns. There are specific grasses that do well in different climates, in shade or sun, even salt tolerant grasses. Your lawn can be core aerated to loosen compaction, allowing air and moisture in. Dethatching will also aide moisture absorption air circulation as well as allow grass roots to easily push up new growth to thicken your lawn . Certain modifiers can be spread over the lawn such as lime or bone meal to adjust pH. Organic compost, composted manure or mushroom compost can be spread and raked over the lawn to add slowly released nutrients to the soil . Water less to dry out soggy areas. Deep soak areas that dry out quickly from sun exposure or runoff. Prune dense tree limbs to allow more sunlight. Keep in mind also that our label of “weed” is often overly broad and generous. A weed can be any plant that you don’t want growing there. 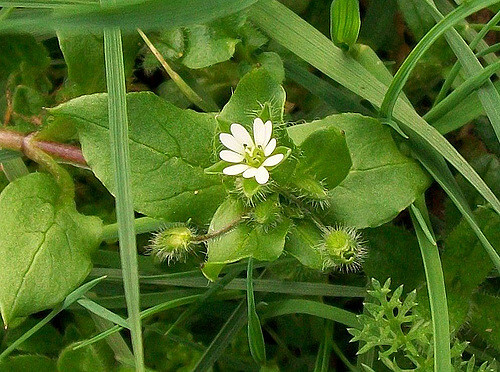 It may well be a native wildflower, edible, or medicinal herb. Certain “weeds” even add or promote valuable nutrients to your soil. We maybe should not be so quick to eradicate those that benefit our soil. Undisturbed, the weeds in a patch of soil will evolve and progress to restore the soil health. Some weeds then are very beneficial to the soil, some we should simply embrace as a natural and perfectly suitable lawn companion. Clover is a natural nitrogen fixer, making the natural fertilizer nitrogen readily available in the soil. Less fertilizer is needed where clover is present. Clover will remain green when the lawn browns from drought without growing tall and requiring mowing. Dock, thistle, and other deep tap root weeds break up hard pan, essentially performing a deep aeration where it is critically needed. Dandelion and Stinging Nettle help move minerals deep in the soil to the topsoil with their deep taproots. Earthworms love to hang out under dandelions, stimulating humus formation. 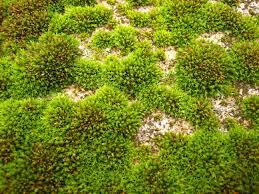 Moss may indicate a “problem” with wet soil and shade. But since it is a rich healthy green and low growing that’s perfect. Just let it take over as much as it wants and forget about the real problem of trying to grow grass. Soil may be moist and low nitrogen. After your weeds have taught you about your soil, make adjustments with amendments and maintenance. You may also work on eradicating these weeds by hand, but be sure to dig deep to get the whole root. Some root very aggressively and leaving bits of plant and root behind will allow the plant to continue to multiply.